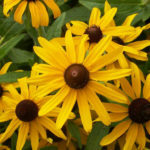 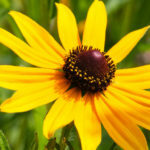 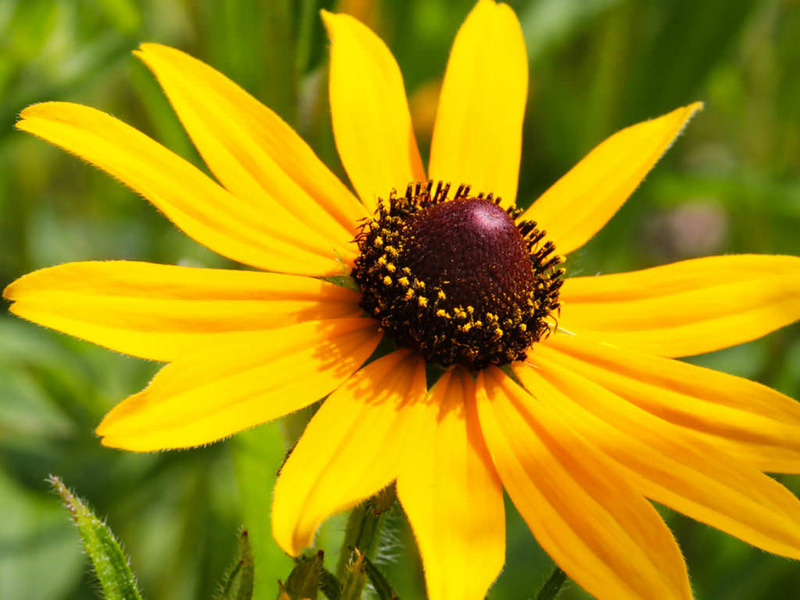 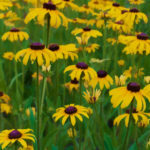 Rudbeckia hirta is an upright annual (sometimes biennial or perennial), up to 39 inches (1 m) tall and up to 18 inches (45 cm) wide. 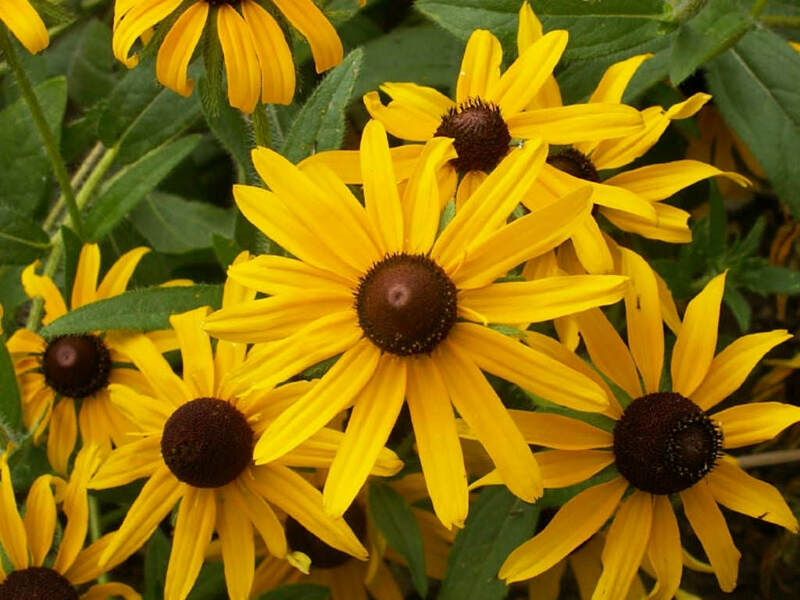 The leaves are alternate, mostly basal, up to 7 inches (17.5 cm) long, covered by coarse hair, with stout branching stems and daisy-like, composite flowers appearing in late summer and early autumn. 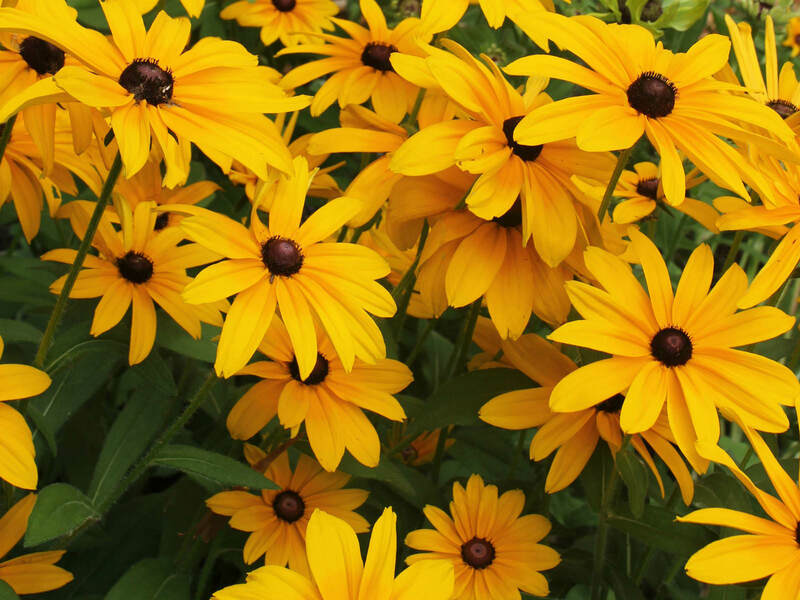 The flowers are up to 4 inches (10 cm) in diameter, with yellow ray-florets circling conspicuous brown or black, dome-shaped disc-florets. 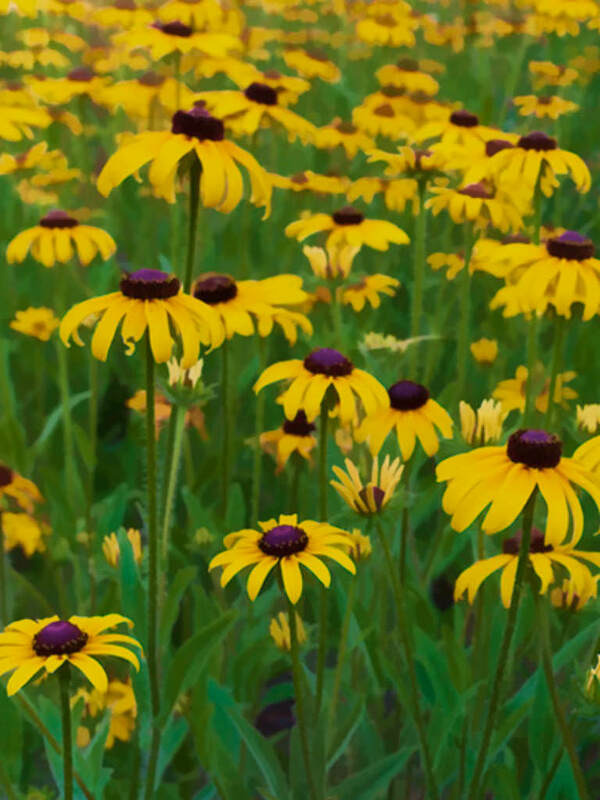 Native to the Eastern and Central United States.